A bike made of baseball bats? Heck yeah! 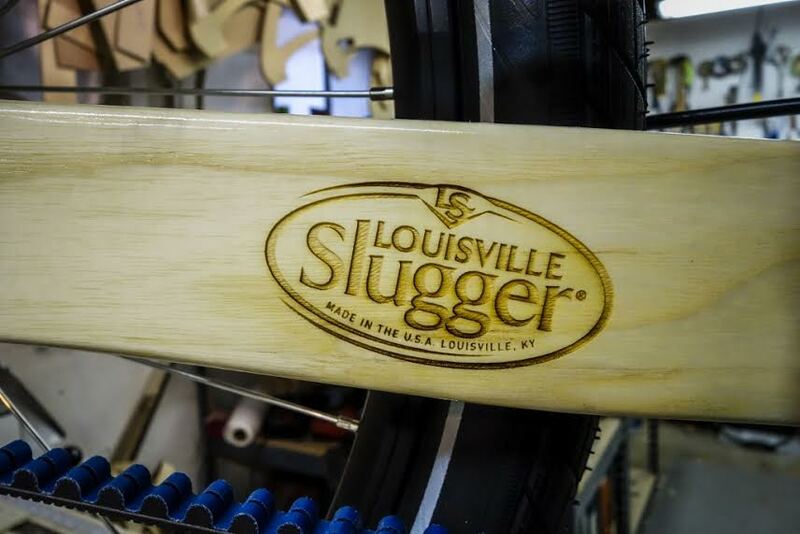 Sounds appropriate for a bike show held in Louisville, home of the Louisville Slugger. 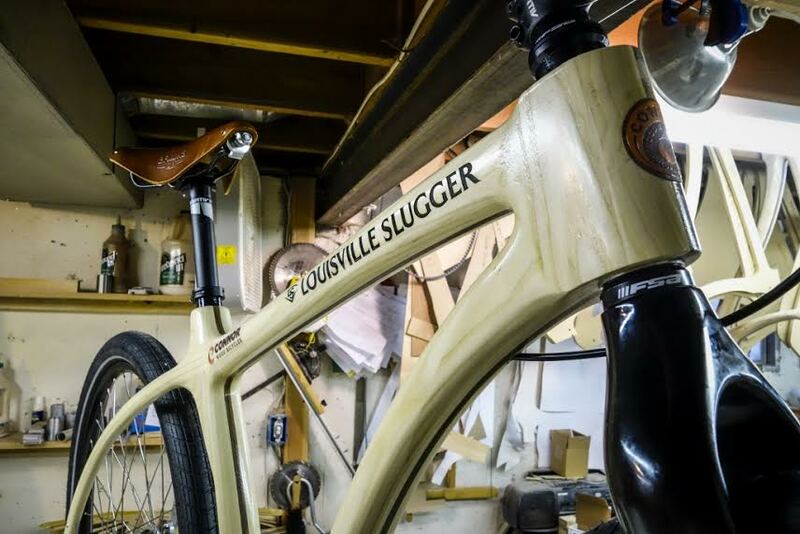 Legendary baseball bat maker Louisville Slugger partnered with Connor Wood Bicycles to create a model made from baseball bat billets. 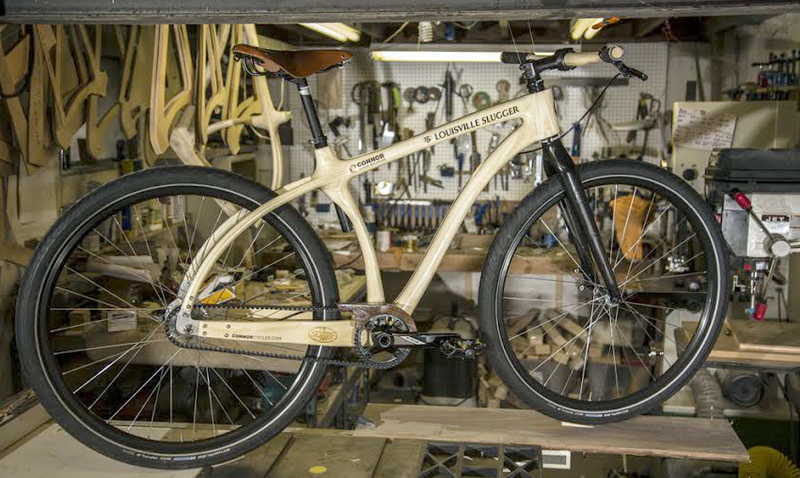 It will be unveiled at the North American Handmade Bicycle Show on March 6th. After that, it will be on display at the Louisville Slugger Museum and Factory. 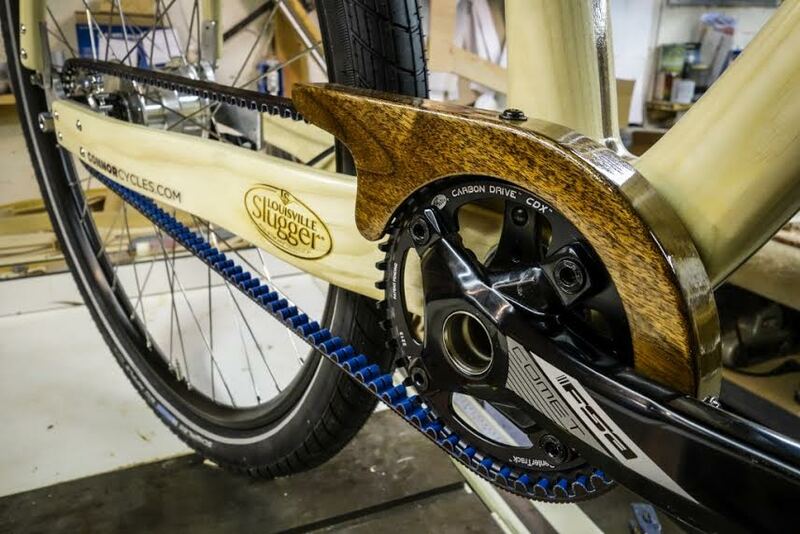 The build includes a Gates belt drive, wood handlebars wrapped with Slugger’s bat tape, and a customized leather saddle made from baseball mitt leather. Completing the build are 29’ custom wheels with a drum brake hub and a carbon fiber fork.